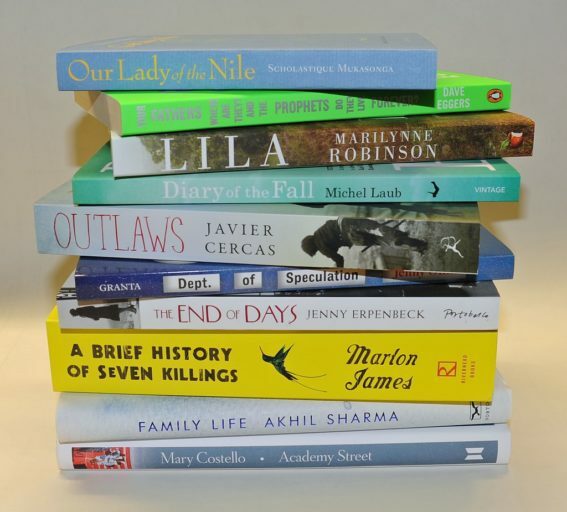 10 novels have been shortlisted for the 2016 International DUBLIN Literary Award, proudly sponsored by Dublin City Council and managed by Dublin City Public Libraries. The list includes four novels in translation from Brazil, France, Germany and Spain, Academy Street by Irish author Mary Costello, and novels from India, Jamaica and the USA. The International DUBLIN Literary Award is worth €100,000 to the winner and is the world’s most valuable annual literary award for a single work of fiction published in English. The award was launched in April 1995. Two of the shortlisted authors have been shortlisted previously. Javier Cercas was shortlisted in 2008 for his novel The Speed of Light and Marilynne Robinson in 2010 for Home. The five member international judging panel, chaired by Hon. Eugene R. Sullivan, will select one winner which will be announced by Ardmhéara / Lord Mayor, Críona Ní Dhálaigh, Patron of the Award, on the morning of Thursday 9th June. The International DUBLIN Literary Award is presented annually for a novel written in English or translated into English. The award aims to promote excellence in world literature. It is proudly sponsored by Dublin City Council and is managed by Dublin City Public Libraries. The award is open to novels written in any language and by authors of any nationality. Nominations are submitted by library systems in major cities throughout the world. Founded in April 1995, the award is now in its 21st year.